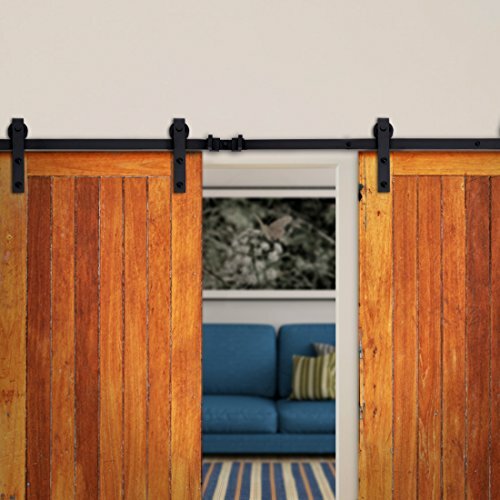 The sliding wood door hardware kit set is a great design for home,which is super space-saving.The door is hung on a piece of hardware with a wheel.That rolls along a track mounted to the wall.The sliding hardware set kit is made from heavy-duty iron painted.Which will offer a reliable performance. √The item comes with 5 year factory warranty. √All necessary hardware is included as you see in the pictures. √Pls make sure your wall is strong enough to hang heave door panel before buying. √Product Guarantee: We will Ship Replacement Parts for any damaged or missing pieces at no charge to you . √Package Include is a manual in the box,please assemble this item according to the manual.And have fun with it. If you have any questions about this product by GOOD LIFE USA, contact us by completing and submitting the form below. If you are looking for a specif part number, please include it with your message.